Writing my last blog about street art reminded me of the opening of the Pavarotti Music Centre. 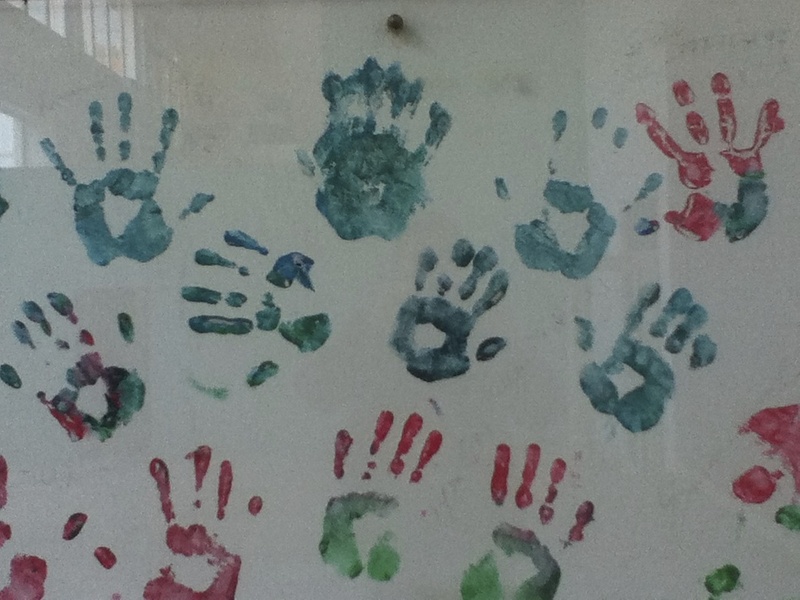 Weeks before the tenor arrived, children had decorated the art room with their hand prints. This gave us the idea to have Pavarotti and the other guests place theirs under the tablet we had made to commemorate the opening. We arranged for trays of paint to be prepared for this. When Pavarotti’s head of security saw two children standing at the side with the trays, he told me that the last time this had happened was at an Italian school and paint had ended up on Pavarotti’s clothes. I was about to order the graffiti exercise cancelled when, to my horror, the children stepped through the crowd just as Pavarotti, Bono and Brian Eno were unveiling the memorial. 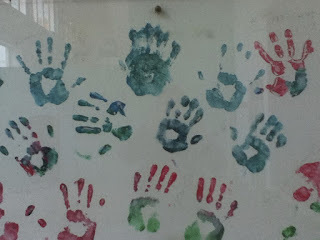 Pavarotti gleefully covered his hands with poster paint, followed by the others. No one’s clothes were splashed. More on this opening at 'Left Field'.